Whether you are a beginner mountain biker, training for the local road season, your first Ironman, or tackling 24 hour endurance events, we can help you tackle your goals! No matter your challenge or busy schedule, we will customize a plan to fit around your lifestyle and maximize your results! Melissa has an extensive career in cycling and athletics. Starting in 2004, Melissa switched her focus from running to cycling and fell in love with the sport. Over the years, the bicycle has taken her all over the world from touring Italy, racing across Europe and the US as a professional athlete (with the US development team and riding for Team Kenda), to exploring the trails across Arizona and even South Africa! 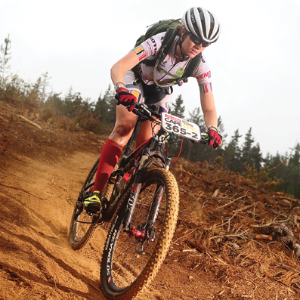 Recent accomplishments include finishing 1st in her age category for the Leadville Trail 100 in 2014 (3rd in 2015), and competing in and finishing 13th at the world’s most grueling mountain bike stage race, the Absa Cape Epic in 2015 as the only US women’s duo! As a new mom, Melissa understands when ‘life happens’ and how to make the most of limited time to achieve those adventurous goals and of course, have fun during the process! Success. Coach Melissa Ross has been notified of your message.